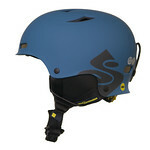 Folksam Insurance Group has released the results of a consumer test of 14 common ski helmets in Sweden. The test shows that only three of these helmets protect well against concussions. They were awarded Folksam’s ‘Best in Test’ or ‘Good Choice’ label. 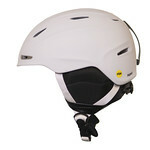 Folksam has tested regular ski helmets and competition/race helmets for both children and adults. 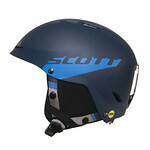 The ‘Best in Test’ label is awarded to the Everest Alpine MIPS Helmet, which got 30 percent better results than the average helmet in the test. The Giro Nine MIPS and the competition/race helmet Sweet Protection Volata MIPS were awarded ‘Good Choice’. – Almost 80 percent of skiers in Sweden use helmets, but our tests show that many common helmets do not protect effectively against concussions. For only two of the 14 helmets the risk for concussion was below 50 percent, says Helena Stigson, researcher at Folksam Insurance Group. Since 2012, Folksam Insurance Group has carried out consumer tests of bicycle, ski and equestrian helmets to help consumers choose safe helmets and encourage manufacturers to make safer products. 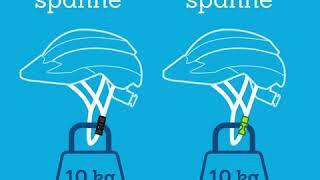 The amount of cycling and ski helmets with rotational protection has increased significantly during this period. 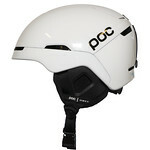 In this year’s ski helmet test, 10 out of 14 helmets have some type of rotational protection. 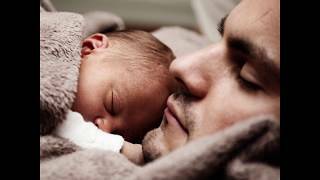 – What stands out in the test is that helmets with rotational protection in the form of MIPS generally get better results than those without this type of protection. Secondly, we see that the racing helmets POC Skull Orbic X SPIN and Sweet Protection Volata MIPS have a significantly better shock absorption than the other helmets. This shows that there is a potential to develop safer helmets in the future, says Helena Stigson. Today, there are no legal requirements for ski helmet manufacturers to address oblique impacts. Instead, only vertical impacts are tested to measure how well helmets protect against skull fractures. This is despite that research has shown that rotational kinematics cause brain damage. 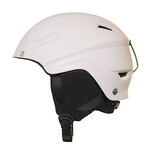 In Folksam’s tests, ski helmets are therefore evaluated for both vertical and oblique impacts. This reflects better what may happen in the event of an accident, compared to only the vertical impacts currently tested according to legal requirements. – For us it is natural to engage in helmet tests, since wearing a helmet that is less safe may have great consequences for our customers. We find it unfortunate that there is no legal requirement to test helmets against oblique impacts, which better reflect how a skier may hit his or her head in the event of an accident. To make sure that there are no helmets without rotational protection on the market, oblique impacts should be included in the European certification tests, says Helena Stigson. 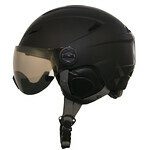 5: The helmet is awarded ‘Best in test’. This means that it meets the legal requirements and that it provides a good protection. 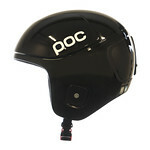 It is 30 percent better than the average helmet in the test. 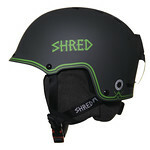 4: The helmets is rewarded ‘Good Choice’. This means that it meets the legal requirements, and that it is better than the average helmet and that it provides a good protection. 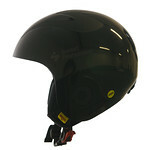 3: The average helmet in the test, meeting the legal requirements.